Gobs of aroma and flavor await openers of bags of Zkittlez — one of America’s most flavorful, fragrant, award-winning and trending cannabis strains of 2016. Zkittlez surfaced slowly over the last five years, originating from a single garden in the West Coast’s most dominant farm — 3rd Gen Fam, winners of 38 awards, including Grand Prize of Chalice California for their Zkittlez rosin processed by Moonshine Melts. The lovely, pungent, balanced indica hybrid strain began when the 3rd Gen Fam gifted “Brandon” a cut of Zkittlez, which he took and ran with. It was a cross of a primal grape-flavored strain and another local grapefruit-tasting strain, as well as likely something with fuel in it. Zkittlez lacked bag appeal, but more than made up for it with gobs of tropical candy terps and wholesome, positive effects. Zkittlez demonstrates how a high-THC count alone cannot match copious terpenes— which contribute to an ‘entourage effect’ far bigger than higher-THC-testing flowers. If THC is the engine, terpenes are the wheels. Zkittlez leaves a strong impact on people who try it. Exhibit A: seven awards won in four weeks, including the title belt in the World Secret Cup with an old school Zkittlez bubble hash. Zkittlez genetics are now available through the Fam’s “Dying Breed Seeds” label. And look out for a new line of exotics with Berner, under the “Connoisseur Union” brand — including Rose, Dragonfruit and The Lemonge. Zkittlez looks like an indica hybrid — with its dense, moderate-to-small size and rounded density. It features copious pistils, which are reddish brown, gold and blond over a medium-green to lime-green color. Cannabis aficionados love this strain for its huge nose, which isn’t loud like gasoline, but more thick and syrupy sweet. It’s the precise ratio of linalool (floral), humulene (hops), limonene (lemons), myrcene (perfume), pinene (pine), nerolidol (orange) and terpinolene (fuel) that creates the inviting aroma and strong yet balanced effects. Zkittlez feels moderately dense and powdery with THC resin as opposed to sticky. Its fused leaves break apart nice and chewy rather than locking the grinder. Great for Js, bowls, vapes — you name it. 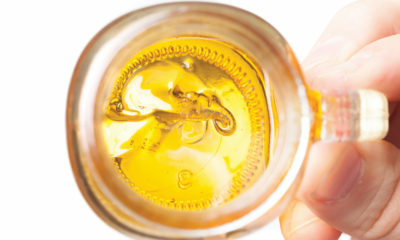 That huge terpene load translates into huge tastes as well — a rainbow gobstopper of sugary orange and pine, with a floral-fuel bite, then orange again. Fast onset, physical relaxation and mental stress relief with neither couch-lock nor raciness. Indica hybrids are often used by patients managing anxiety and chronic stress, as well as depression. Many report it can also relieve pain and nausea. Outdoor versions of Zkittlez are the perfect accompaniment to inner-tubing a lazy river. It’s too enjoyable to ruin on hard work. It’s brunch weed, or back-from-the-club weed. Not go-to-the-club weed. You’re going to be content, so don’t put too much on the agenda. Go see a chill movie, or just Netflix and chill. TELL US, have you tried Zkittles? I Have used Zkittles Smart Cart brand vapor cartridge, Top of the line! Great Indicator Effects and taste! I’ve tried the Zskittles and it’s my favorite strain still! The smell and flavors are just fantastic! 23.36% THC and grown by NW Kind in Oregon. It taste like skittles candies but it also taste like fruit loops cereal too. A little sour notes on the back of the throat and delicious fruity flavor. Sometimes it does smell like pine or citrus cleanser. It’s all good no matter! It rock’s to have a weed with that flavor! I’ve had the pleasure of bonging down a 1/4 oz of zkittlez during the past week and it was a very smooth week indeed. It was locally grown and apparently the grower knew his business because the buds were nice and tight with a wonderful taste and beautifully colored. The buzz was very relaxing without bringing on the “nod” that many indicas tend to cause. All in all, Zkittez is a great strain that can be enjoyed during any part of your day. I would highly recommend this to any experienced toker although the high THC levels may be too much for some beginners. Happy highs!! I would love to grow some zkittles outdoors next season.